Plans for a new Vancouver Art Gallery—in the works for more than a decade, and feared by many to have stalled indefinitely—received a major boost this week with the announcement of a $40m lead gift from the local philanthropic Chan family. In recognition of what the institution’s director Kathleen Bartels called an act of “extraordinary generosity”, the Vancouver Art Gallery’s new building will be named the Chan Centre for the Visual Arts. 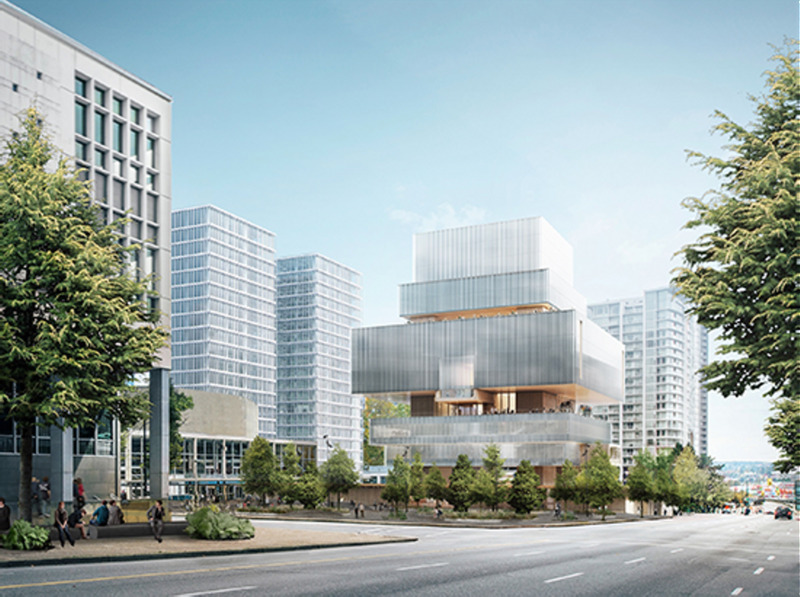 The announcement was made Wednesday morning in a hotel opposite the gallery’s current site with the architect Christine Binswanger, a senior partner at the Herzog and de Meuron firm, revealing the final designs for the 300,000-sq. ft building. Renderings of the striking edifice made of wood and glass, refined and updated since conceptual designs were unveiled in 2015, include public plazas, long terraces, sunken gardens and a theatre in addition to the extensive gallery space. The $40m gift is a milestone in the gallery’s $350m capital campaign and puts paid to speculation that a long-awaited new building would never see the light of day. The campaign to replace the current gallery—a neo-classical Edwardian courthouse designed by Francis Rattenbury and revamped by Arthur Erickson in the early 1980s—with a purpose-built museum has met with controversy and challenges since it received a gift of $50m from the province of British Columbia in 2008. 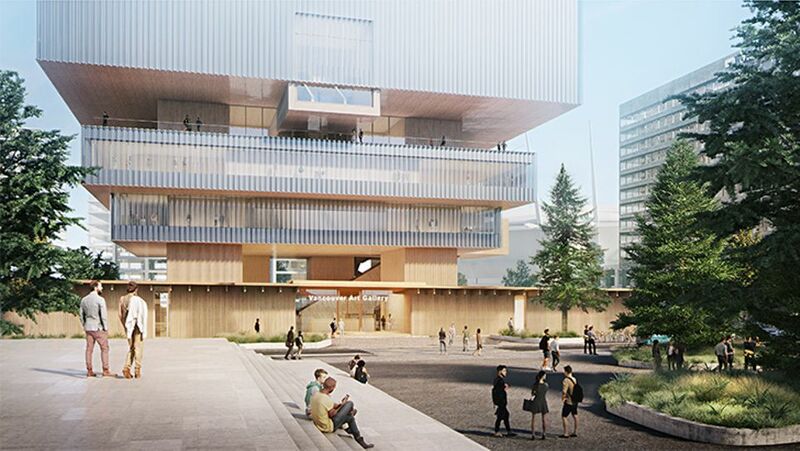 As recently as two weeks ago, there was public concern that time was running out to use the city-donated site in downtown Larwill Park, and a headline in Canada’s national daily newspaper the Globe and Mail read: “Future of a new Vancouver Gallery building uncertain amid lack of private funding”. But thanks to what Bartels described as an “unprecedented gift” and the largest ever single private donation to arts and culture in British Columbia, the new building appears to be back on track. There are hopes that the gift of the Chan family, who are also known for their support of the Chan Centre for the Performing Arts and through their Burrard Arts Foundation, will encourage other patrons to step up for the remaining $165m. “The next step for the Vancouver Art Gallery Capital Campaign will be to continue its work with senior levels of government and the private sector to secure the additional funding needed to begin construction,” the museum says in a statement. The project could even break ground by the end of this year.